A rug can really transform a room, but if you have pets or kids, it can be risky putting down anything you care much about. I've racked up many a tab at the cleaners from having pets. 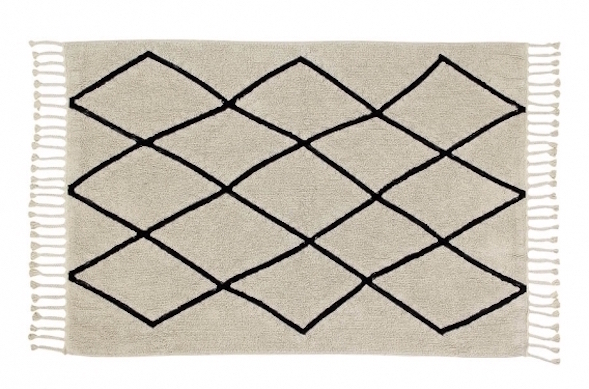 For a large rug, cleaning bills can be $75 or more a pop! 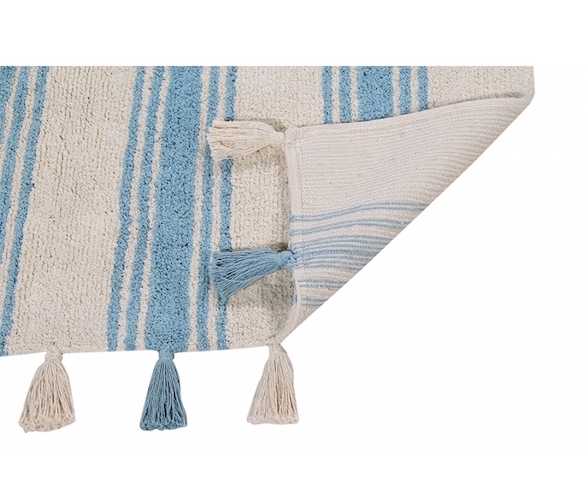 Thankfully, a rep from Lorena Canals Rugs (Spain) reached out to me recently and let me pick one out. 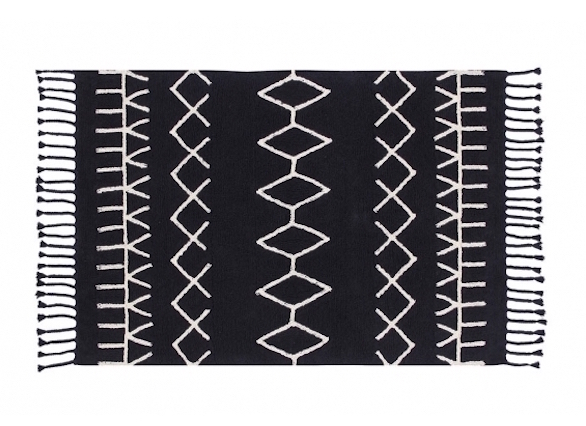 Their rugs are washable at home, ethically sourced from New Zealand wool, and employ no child labor. The company also used some of their proceeds to build a school in the North of India that currently serves 104 children. According to the press materials, Penelope Cruz and Chrissy Teigen are already fans, so, y'know, naturally I must have been third in line on that gifting list. I ended up choosing the black and white design below. Willie Mae the pitbull is loving snuggling up on it, and I love that I can throw it in our washer when it's time to clean. Some of my favorites are below. 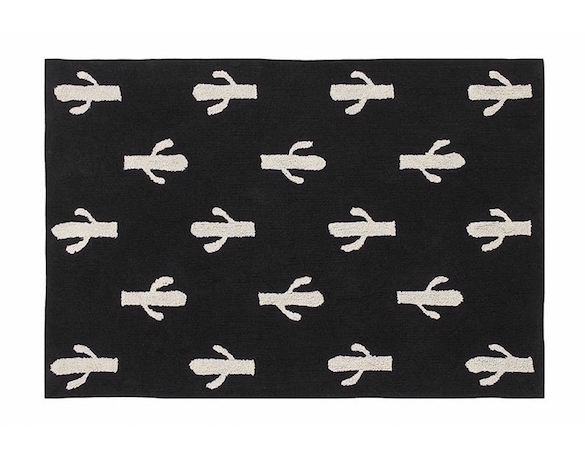 I love the tassel details on many of the rugs, and the fibers are soft, not scratchy, since the company began with children's decor before branching into more mature lines.